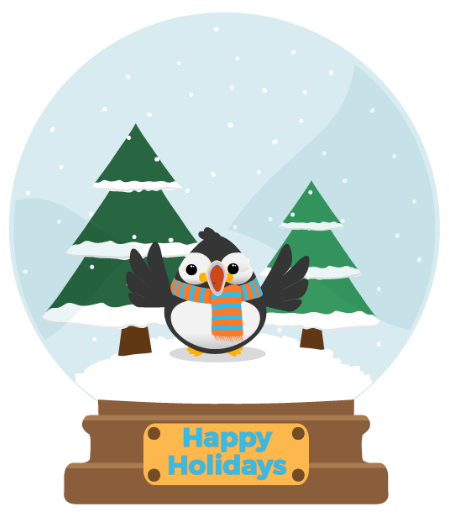 Whether you live in a winter wonderland, a desert paradise, or somewhere in between, The FreeConference.com Team and I hope you have a happy and restful holiday season, eat some great food, and share lots of laughter with your friends and family. We’re proud to have you with us on the journey to make free, reliable conference calling a reality for everyone in the world. Thanks for following along with Puffin’s globe-trotting adventures on Instagram, and for all of your awesome and funny interactions on Twitter and Facebook. Thanks for continuing to trust us with your most important meetings, whether you were catching up with loved ones, making business plans, or just having fun. Most importantly, thanks for making 2016 our best year yet.